So I’ve been thinking over the whole triathlon thing over Christmas, and I’ve decided that it is just not financially viable for me right now. Swimming gear and pool access alone will cost £50+ and then there’s the bike situation to think about. So for now, I’m sticking to what I know and have decided this year’s challenge will be: MY FIRST MARATHON. 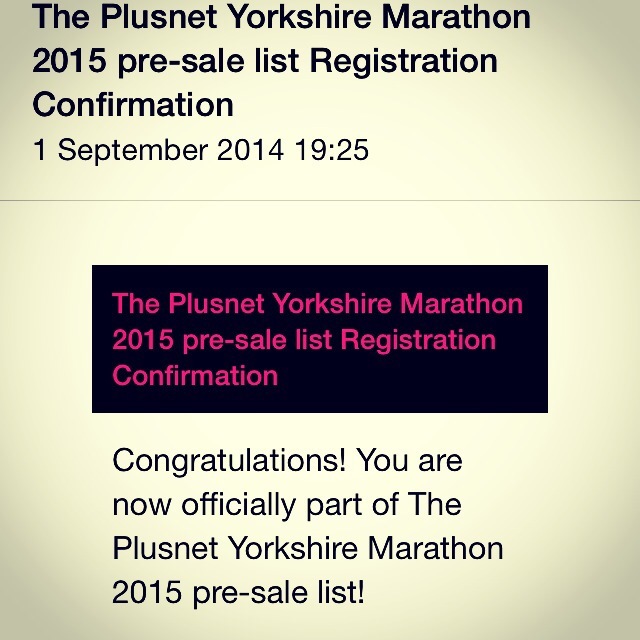 That’s right people, I have just entered the Yorkshire marathon! I am both terrified and excited by this new goal. Such a big deal ahhhh! Twice as far as I have ever attempted to run. I haven’t really had time to let it sink in yet. 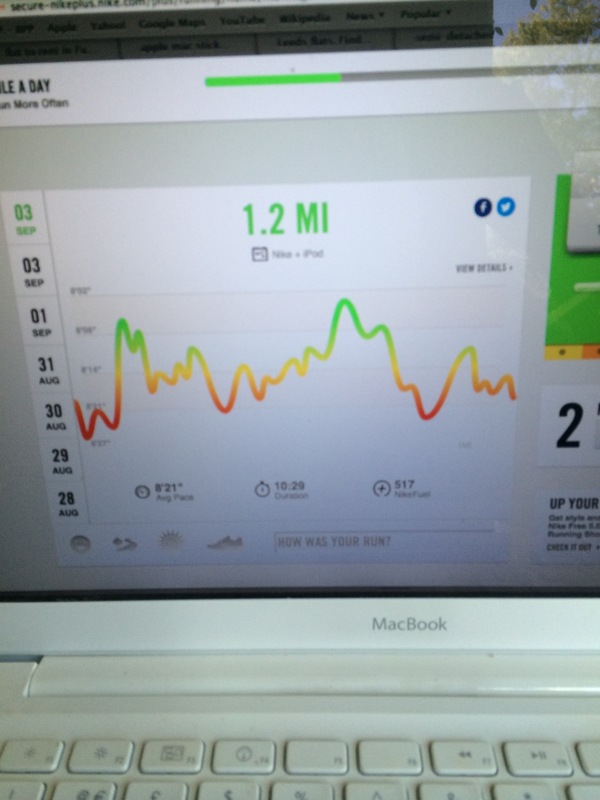 But I’ve got my nike+ coach plan ready to go, and as of Monday I am officially marathon training! Ok so I’ve given up on the mile a day challenge. With having to stay with people for a week in Leeds before my new house is ready in don’t think it will be practical for me to be going in and out of people’s houses to run, the key situation will undoubtably be tricky enough as it is. And I don’t want to be taking the piss by needing extra showers. So I thought screw it, il run further today. I also didn’t run at all yesterday due to big meals after a day out at the zoo. Which was great fun. Now I’m in the stage of packing to move back to Leeds. I packed pretty much all my clothes into a case before I remembered I need to take a weeks worth of stuff with me when I go up on the train on Friday. I really hate packing. In other news, the fall is most definitely upon us. I ran round the countryside this morning for a cheeky 5k (I saw some ducks. Yay ducks) and everywhere I went there were fallen leaves, conkers and the likes. The paths were orange and crunchy. This makes me pretty happy, who doesn’t love the fall? Time to get the jumpers and the uggs back out, and most importantly, perfect temperature for running! Such a beautiful season! Since I have given up on the mile a day, when I’m in my new house and settled I’m going to start training for the Abbey Dash. More exciting times lie ahead! 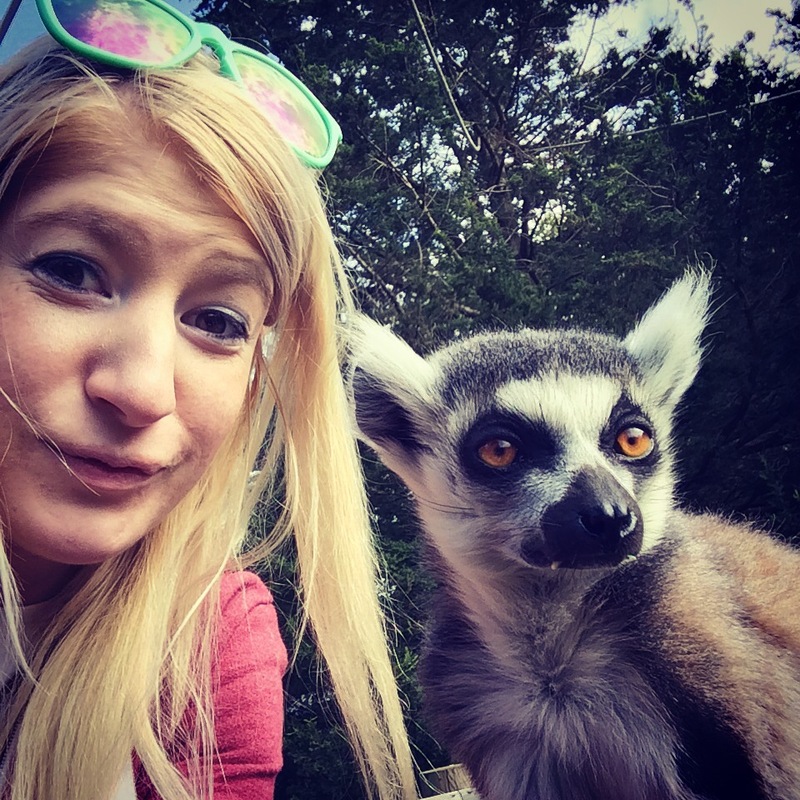 Ps, here is a lemur selfie from my zoo trip. Because lemurs. 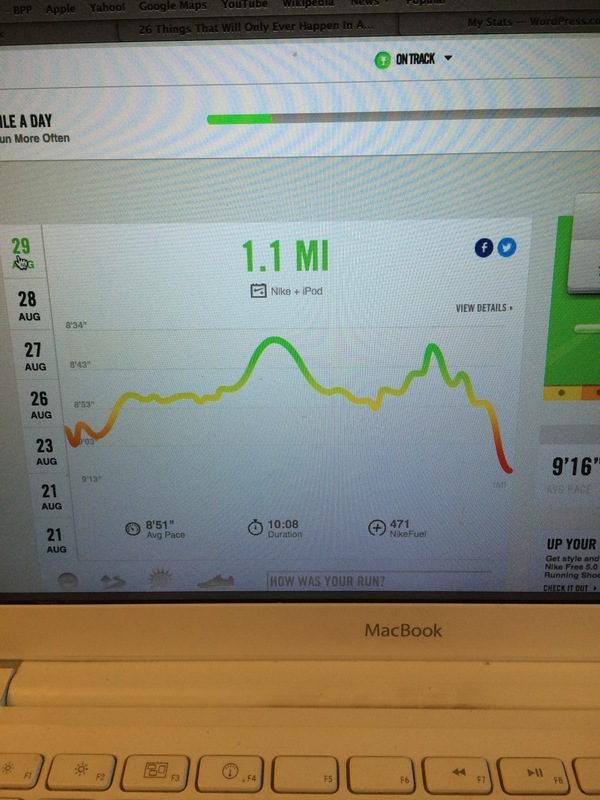 Ok I admit it, I’ve failed the mile a day challenge. It wasn’t through laziness though, so don’t judge me too much. How did I let this happen then? Well I went to Leeds yesterday to go house hunting. 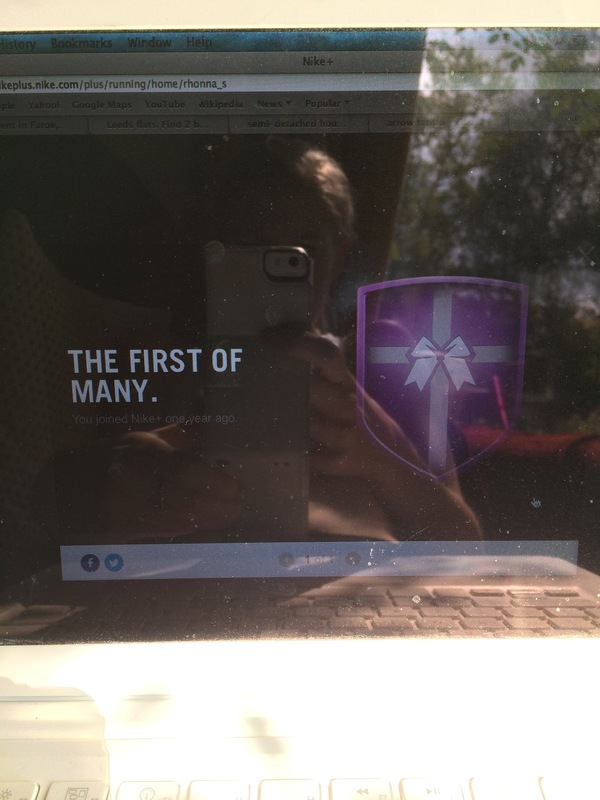 It’s a 3+ hour journey, so I got the first train to maximise available house hunting time. That train left Ipswich at 6am. I got up at 5am. I left Leeds at 7:45 and got back at 11:30pm. I thought that I’d have enough time when I got back to squeeze that mile in, but I underestimated just how exhausted I would be. I walked all over Leeds, and I just couldn’t do it. By the time I got home from the station at 11:45pm all I wanted to do was go to bed. So I did. However since the failure to run was more down to inconvenient circumstances than a lack of motivation on my part, I decided I’d allow myself to continue with my challenge, as long as I went for an extra run today. So I ran one mile this morning and one this afternoon. Not like I have much to do right now since all my hours got cut for the week after I handed in my notice! And my gym membership has ended too. Set backs happen, and as the featured image so aptly puts it, this won’t be my only one. It’s overcoming the set backs that is important. So, on with the challenge I go. 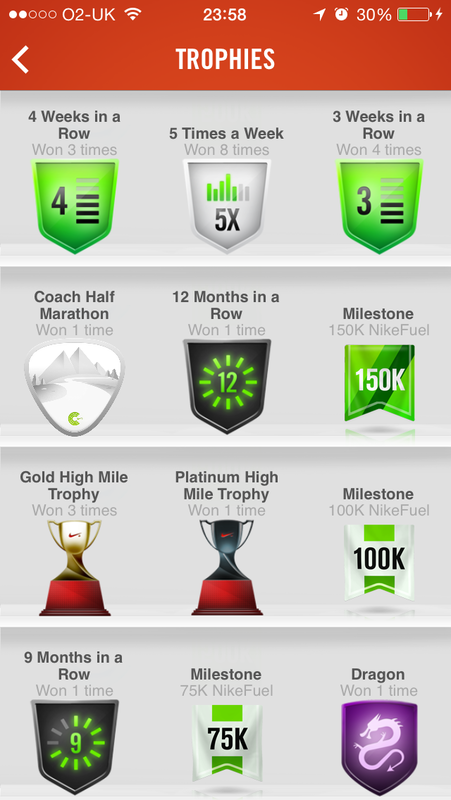 And finally an update on my nike+ achievements. 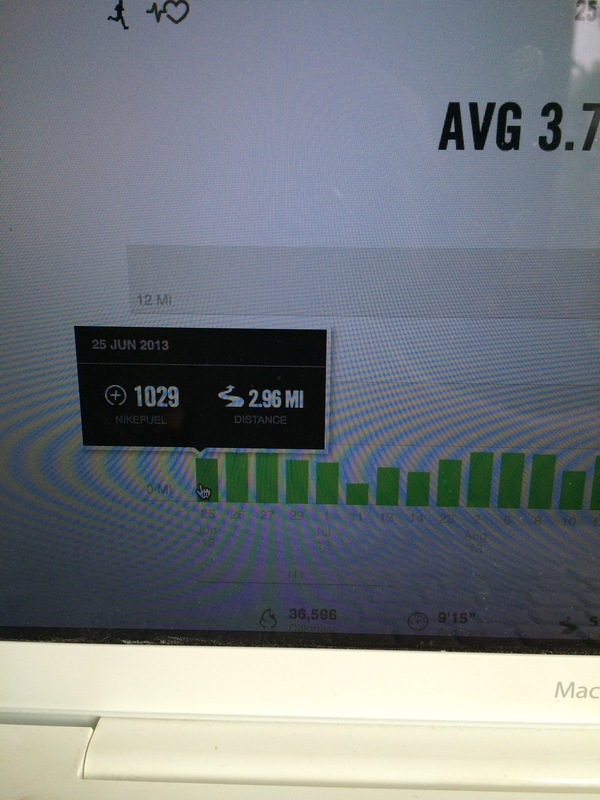 My next run should take me to 200K nikefuel so I can cross that one off. I also randomly got the year anniversary award. Which is odd because I joined in June 2013. Seriously, I’ve attached pictures! 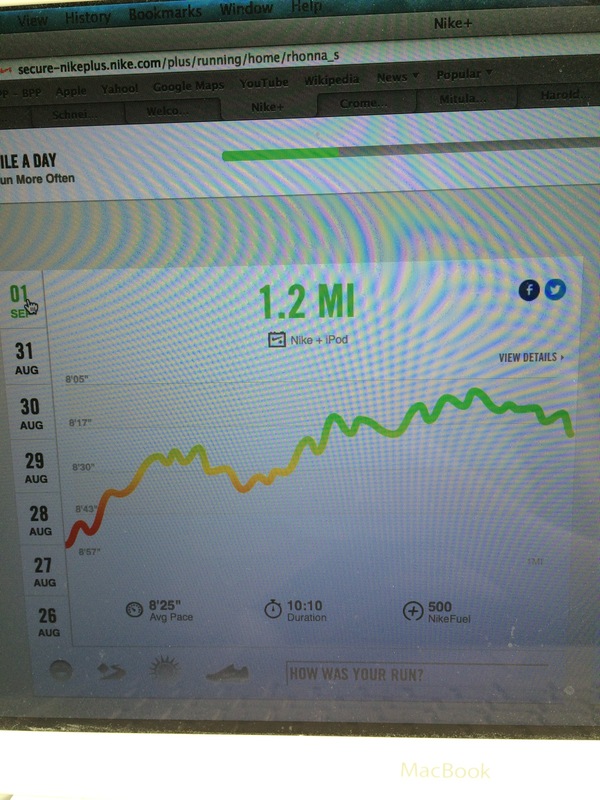 Also of my sign up and today’s two miles. 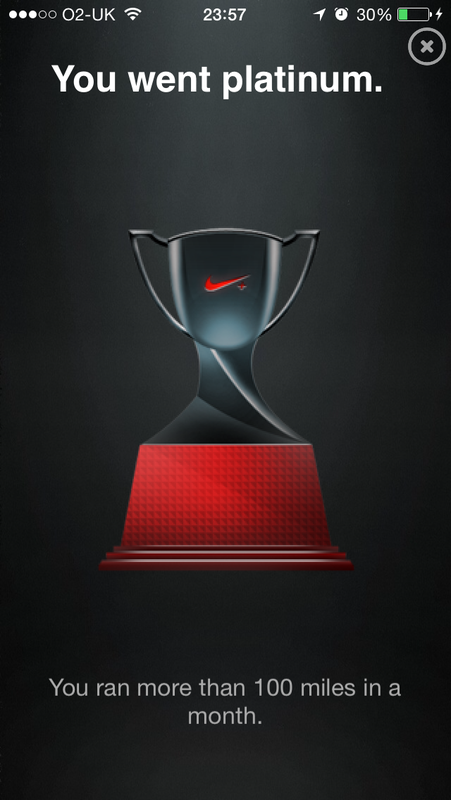 So this post is all about the trophies available on the Nike+ app/website that you can unlock by using the app on your iPod or iPhone. Personally I use the iPod nano 6th gen (the small square one) as I got it free from apple after they recalled first gen ones due to dangerous battery overheating issues. It came with the app preinstalled, and it has a clip on the back so you can attach it to your clothes which is cool and means you don’t have to buy one of those weird looking arm straps for your phone. I’ve always imagined them to be somewhat annoying, but who knows. One of the things I like about Nike+ is the fact that it tells you when you reach achievements such as your longest/furthest run, or a PR over a certain distance. 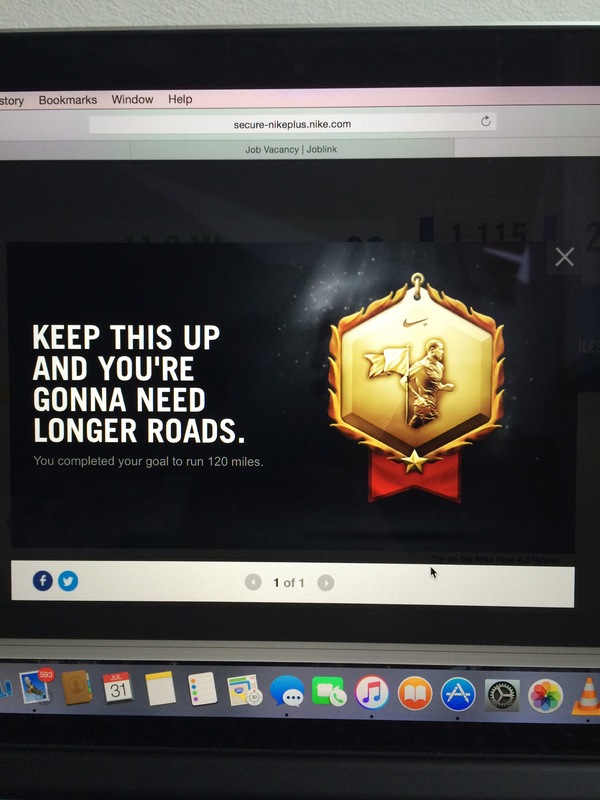 Not only this, but it also uses data to inform you of cumulative achievements like months in a row you were active, or if you break a certain number of miles a month. I don’t know if any of the other apps like run keeper or map my run have this feature, but I’d imagine they do something similar. I have to say I find them a really good motivator. If I am close to the 50 mile a month one by the end of the month for example, I would run further to make sure I get that award. Since I enjoy getting trophies, and I now have an audience to share this with, hopefully who share this interest and sense of achievement, I thought I’d do a bit of research, see what I was missing, and see how i can get it! So here is the list of awards obtainable. The ones I have got are in bold. As you can see, I still have some collecting to do! There are a few others, however I know you have to have a fuel band to get them, and since I don’t see myself being able to spend £100 odd on a monitoring band any time soon I have left those off my list. 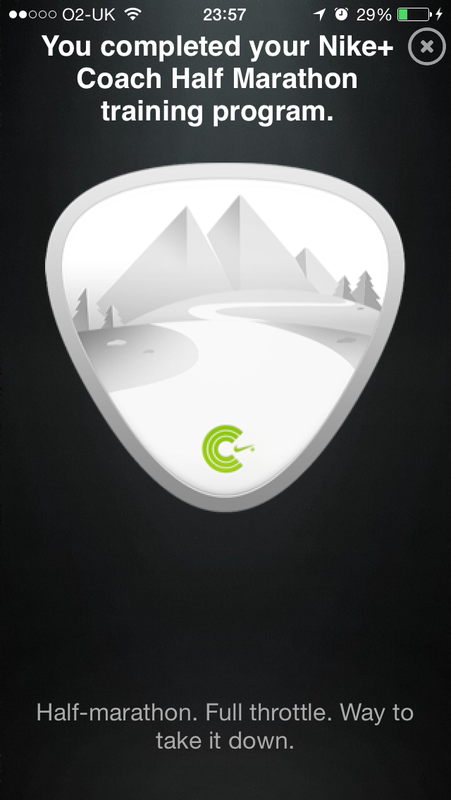 The completed a half marathon award I have seems to have come from the mobile app, as it isn’t on my online list, but is on my phone. It comes from completing the half marathon training programme on there. I imagine that doing the mile a day challenge, which I posted about previously, will enable me to get some of these. This would be a great time to try for the early bird and night owl trophies for example, and the 7 times a week is a given. As for celebrity, Ive never wanted to bore my friends and followers sharing all my running activity constantly, but 10 twitter posts will do that nicely. Then I will stop. The three shoe one will be tricky, as I only have one pair of running shoes! I could go for a run in my dunks, 6.0s or deltas I suppose… if not that one will have to wait until I go through another 2 pairs! Also going to make sure I run on every holiday! In case there is a trophy available! How many trophies does everyone have? Do they motivate you, or do you not really care? Attached are some photos of my awards so far, and a screenshot of all the awards together! Something to aspire too! Ok so last night escalated quickly. I was at work until close, one of the locals bought us a drink, and then we headed off to one of the other staff girls birthday party. She had a marquee in her garden which was really cool. I was offered wine on arrival, most of the alcohol had gone by this point, so I took it even though I don’t usually drink wine other than with food at my parents. I then proceeded (thanks to some peer pressure) to drink the entire bottle. Needless to say this morning I felt as though The battle of helms deep was happening in my head. I managed to struggle through my 5 hour lunch shift at work. On coming home my father suggested we go out for dinner. I was at the hungry stage of my hangover, so I was all for this. However, my tendency to eat loads when I go out for food meant that running was unlikely to occur after eating. I had to go before. The hangover was still going fairly strong. It’s only a mile I told myself. You can do this. Usually if I am hungover, I won’t go for a run or to the gym. Usually I will only get out of bed for important plans, work, or hungover discussions of the previous nights events over some form of food. And maybe more alcohol. I did however have to make an exception to this general no running attitude at the 2013 Leeds abbey dash last November. I hadn’t trained for the race as I was meant to go away for the weekend, but ended up having to stay for work. I decided to run it anyway, just for the experience. It was my first race and I was excited. Meanwhile, it was one of my best friend’s birthday on the Saturday, and I made the foolish decision to go to the German market beer tent in millennium square. 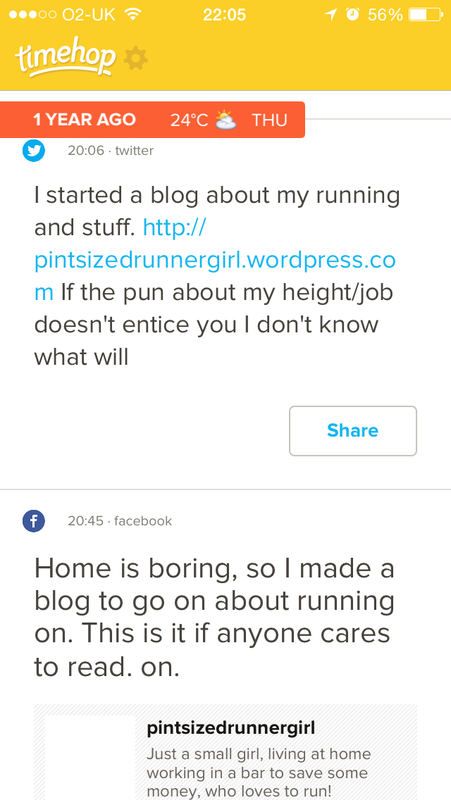 Little did I know the consequences of that fateful evening would be far more complex than a hungover 10K… I digress. I don’t know what they put in that beer but it gets you smashed very quickly. One led to another (we queued for 3 hours we had to make the most of it) and the next day I woke up with the urge to vomit. Not from nerves, I knew I wasn’t taking the race too seriously, I was using it as a chance to ease myself into racing: pressure free. I felt pretty rough. The entire run all I could think about was how much I wanted water. Well, that and how to handle the previous night’s complications. I do usually enjoy thinking things through on a run but not this time. I had to walk for a bit between 4-5K because of the killer stitch I got, which I suspect was connected to the amount of alcohol in my system. My time in the end was 1hr 1min. Which was annoying. Under an hour would have been nice. So after that experience, hungover running hasn’t really been something I have been up for. However, mile a day challenge, the name speaks for itself. I had to run a mile at some point today, and this was the best opportunity. So I geared up and went outside. I told myself to go at a comfortable pace, aiming for a 9-9:30min mile. The mile was 9:08 pace in the end. And you know what, I actually quite enjoyed the run. 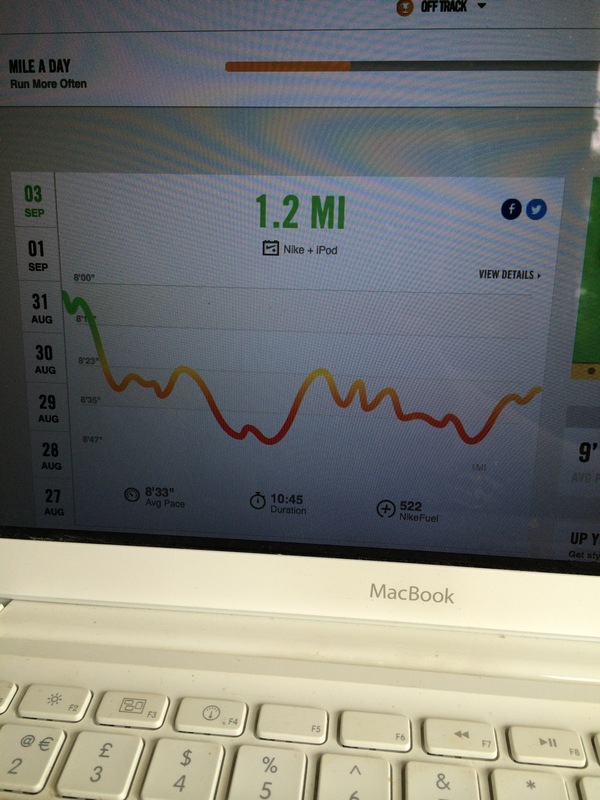 The fresh air was nice, and the comfortable pace wasn’t pushing my body to a place it was unhappy at. I felt capable, despite my state, which was a nice feeling. Much better than I had done at work. So there we go. Moral of the story: Hungover running is not that bad, and I think I will be forcing it upon myself more in future. Any longer than a mile though and I think water will be a necessity! So this mile a day challenge thing. 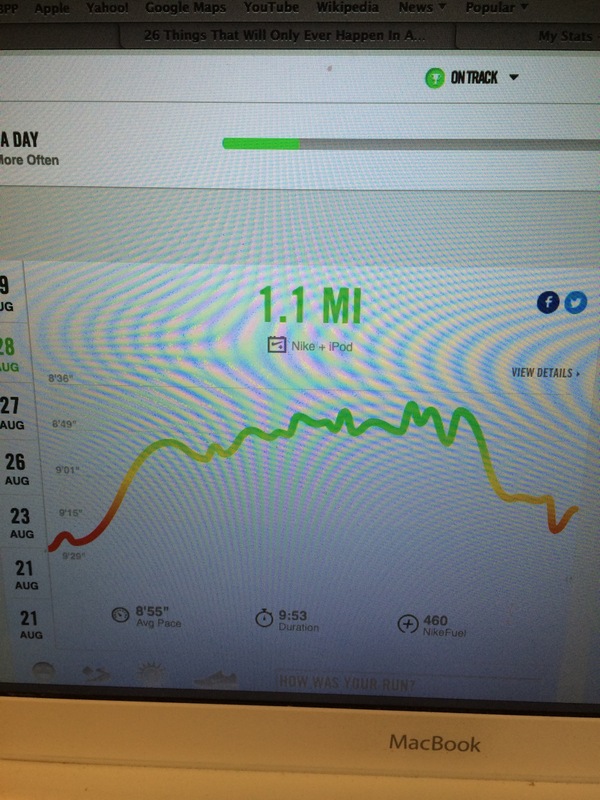 So far it’s been four days and the drop in my average distance is making me sad. I’ve run 5 less miles this week than average, and since I have to do this for another 26 days, my average week distance will likely be effected. This is irking me somewhat. I don’t know why I care so much about statistics, especially when I’m the only one who sees them. It’s going to be a tough 3 and a half weeks to stick to my goal and restrain myself. Then I will have 8 weeks until the Abbey Dash, perfect timing to complete the Nike+ training intermediate 10K plan. Bring it on. In other news, weird gym guy has now taken to hiding in his office every time I go into the gym when he is working. This is a vast improvement on his annoying attempts to make small talk. Fortunately for his pride, I am moving back to Leeds in 2/3 weeks (notice is in, and I’m off house hunting next week), beyond excited and it means I get to QUIT THE TINY GYM!!! And not run into people from high school on a daily basis. Whether I will be able to afford a gym in Leeds/ if there will be a convenient and affordable one near my house is a different matter. Time will tell. 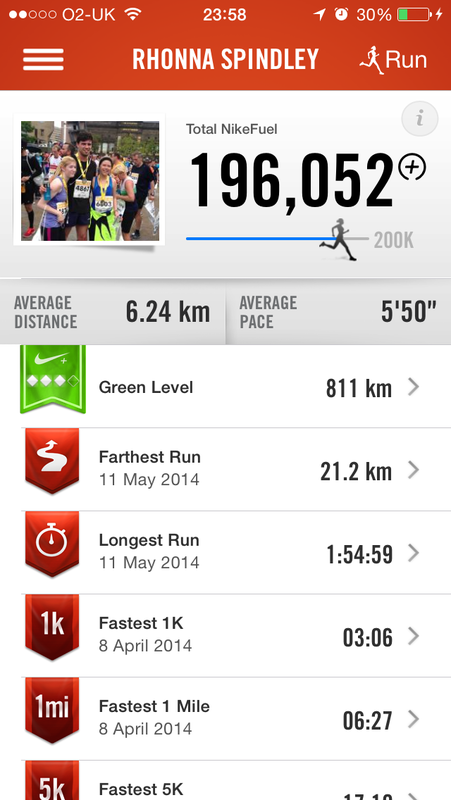 Photos attached of my run records.